With the MLB postseason still in motion, the #HotStoveSeason has yet to officially begin, which means the Tigers haven't done anything worth talking about since their regular season ended. However! Baseball is still happening (enjoy it while it lasts, folks) and your fearless hosts are able to find creative ways to link the postseason activity back to relevant Tigers topics. In this episode, Rob and HookSlide talk about the bullpen revolution currently happening in the form of Terry Francona, Joe Maddon, and Dave Roberts using their best relief pitchers in rather unorthodox ways. What does this mean for the future of baseball, and especially, for the future of the Tigers? Will Brad Ausmus start using K-Rod outside the ninth inning? Will the Tigers' front office stop searching for closers and start looking for possible bullpen "firemen," as was the case in the 1970's and 1980's? Also in this show, we talk Sabermetrics 101 and explain the fundementals of how to evaluate hitters using statistics other than batting average, home runs, and RBIs. - Do the Tigers already have an "Andrew Miller"? - Are the Indians as good as they seem? 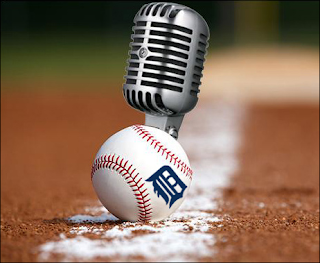 - What's the one thing the Tigers need to do in the offseason? - Does Toronto have any good beers? - Why isn't batting average a good enough stat? - Who was better? Al Kaline or Miguel Cabrera?